Large green leaves hide a whole Jungle on the inside of this amazing wonderlamp. Switch on the light and try to find the animals! Inside Elephant, Tapir and Tiger roam the woods. Toucan tries to sing a song but Mr. Sloth shouts "oh no! my ears....."
Wonderlamp Jungle has a diameter of 30 cm. and measures 23 cm. high. What a buzz in the Mighty Jungle! Everywhere animals are peeking through the leaves of the forest. Can you spot who is living there? Tiger was up all night and is taking a nap when no-one looks....Hide-and-seek-champion Chameleon is playing another game..
Big Lion and Tiny Lion are watching over you. They're not afraid of anybody! Tigers roar vigorously and the elephants trumpet their sound through the Jungle ...and the lions? With our combination of Glow in the Dark Starry Sky stickers in different shapes and sizes every wall becomes a dream sky. 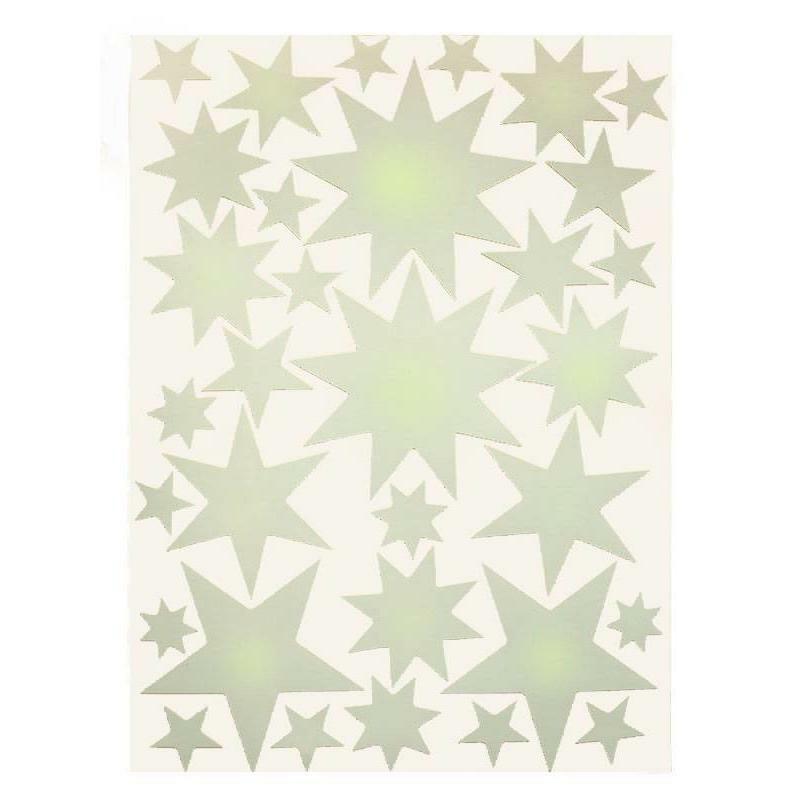 The variety of small to large, and five-pointed to nine-pointed stars can turn any wall into a wonderful starry night.